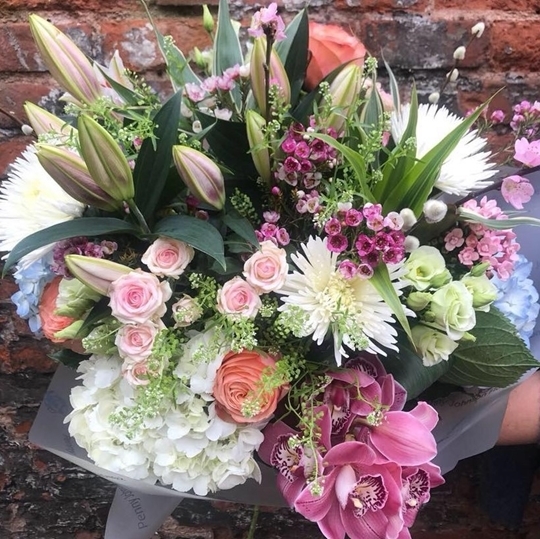 If you would like a selection of flowers and dont mind putting your trust in a Penny Johnson Flowers Florist then this is the item for you. 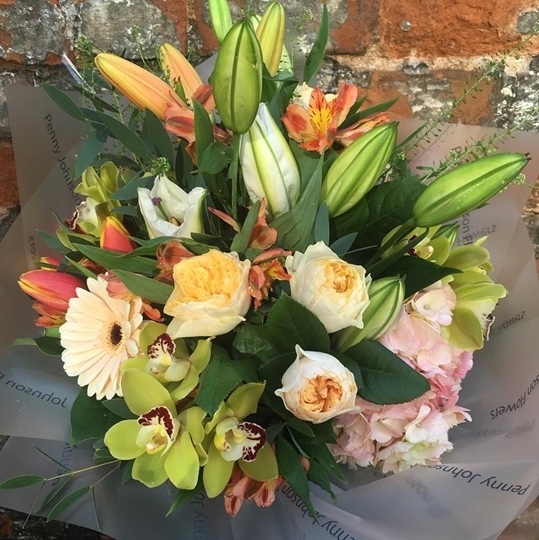 Simply select an amount and leave us a note in delivery instructions (even if you're collecting in store), suggesting a colour pallette or flowers you like or not like in the selection, and we'll arrange a beautiful bouquet from the blooms we have available in store. Your bouquet will come Hand-Tied ready to place in a vase, gift wrapped in Penny Johnson Flowers signature cellophane and tissue paper finished with an organsa bow and gift card.